We are pleased to be able to announce that we finally have Gatheeshgar Perampalam with us! Gatheeshgar joins us via Northumbria University. Gatheeshgar is with us Tuesday's and Wednesdays and is studying for his PhD in Light Gauge Steel Joist Design the rest of the time. 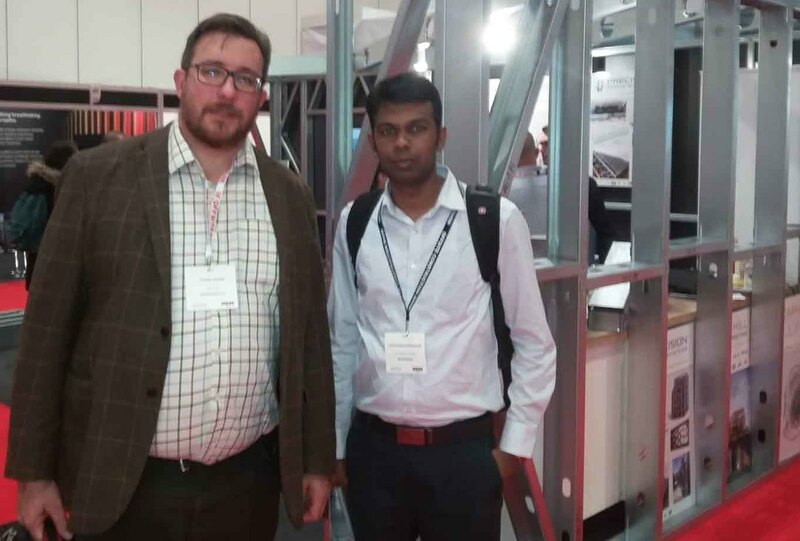 Steve and Gatheesghar enjoyed a day out at The Offsite Show in Excel in November which they both enjoyed, though it must have been a strange way for Gatheesghar to spend his birthday!